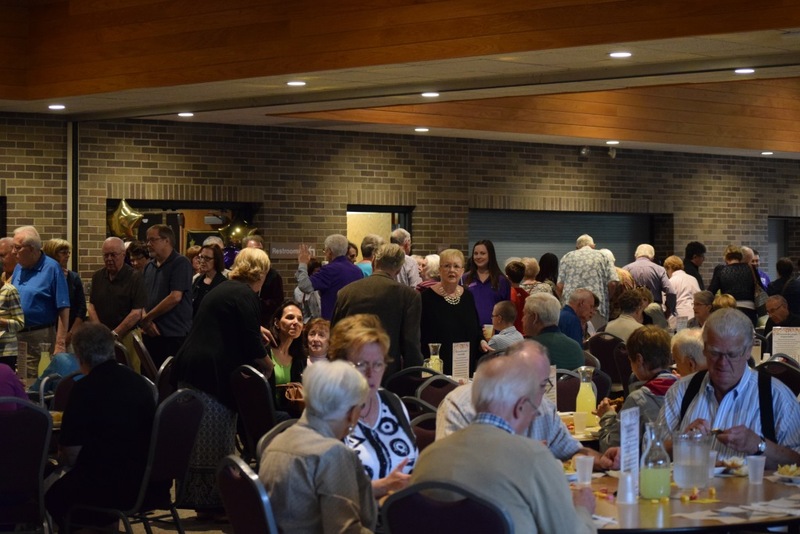 There was a great turnout on Saturday night for the 2018 Volunteer Celebration. Although the weather did not cooperate to hold “Mass on the Grass” outdoors as planned, it didn’t dampen anyone’s enthusiasm for the rest of the evening. Contemporary Music instrumentalists were featured before and during Mass, and a special blessing was offered during the Mass service for all the volunteers. After Mass, over 200 of St. Edward’s volunteers became the VIPs. They walked the red carpet to enter the social hall, which was decorated for the occasion with gold stars and balloons. Dinner was a buffet of fried chicken, salad, baked beans and rolls served by the parish staff. Dessert was a selection of ice cream treats. During dinner, the VIPs were invited to share their volunteer experiences with others at their table. Each VIP received a gold star to write on, giving them the opportunity to share their name and volunteer experience or memory. The stars will then be displayed in the church for others to read. Pictures of the event are on our Facebook page!